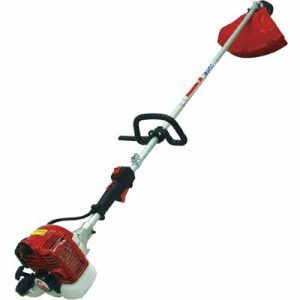 Professional landscapers seeking a lightweight yet powerful brush cutter for more challenging jobs need look no further than this fantastically well equipped brush cutter from Tanaka. 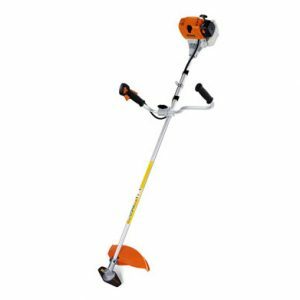 Power for the cutter head is supplied by a very high performance 33cc Tanaka two-stroke engine, which boasts a chrome plated cylinder and a two ring piston for impressive durability in the face of frequent heavy duty use. Tanaka’s S-start technology allows for smooth, jerk-free pull starts. 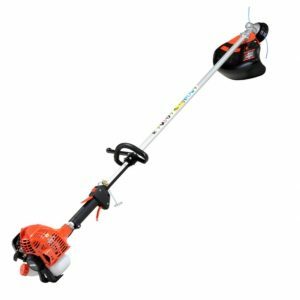 The drive shaft on the Tanaka TBC 340D Brush Cutter is bearing mounted and made from solid steel, so you can be sure the maximum of torque is delivered to the cutter head, which in turn will allow you to meet the toughest challenges head on. 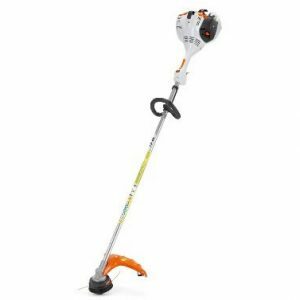 A rubber mount between the shaft and the engine combines with a padded handlebar so as to minimise vibration transfer; while Tanaka’s provision of a double handlebar, ensures you’ll find it easy to guide the cutter-head safely and accurately across the ground. Despite its high powered engine and rugged construction quality, this model weighs in at just 5.3kg. 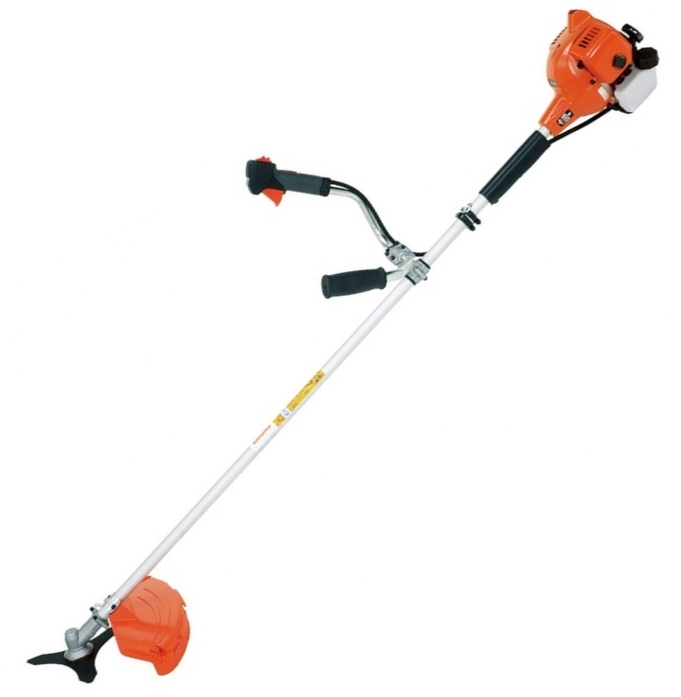 A metal brush cutting blade and a nylon-line strimmer head are both supplied as standard.